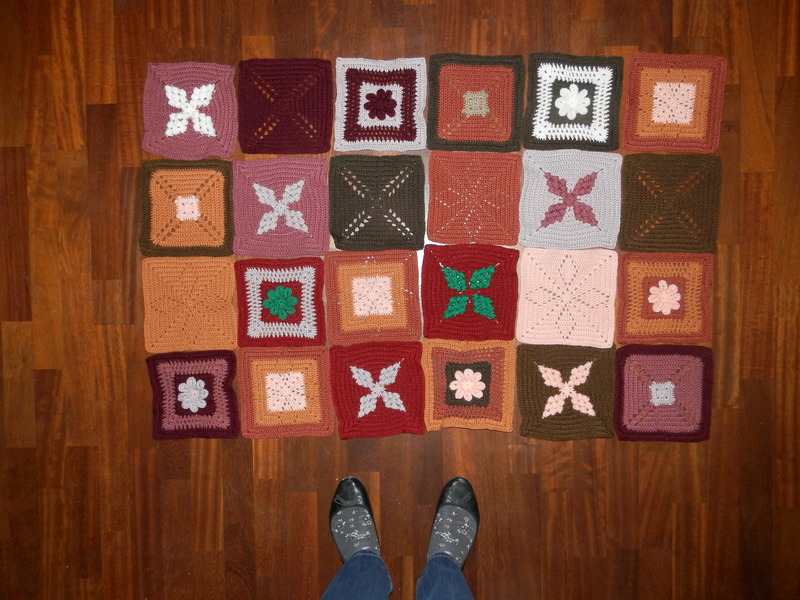 I can’t help it, I just have to say that yet again I love the design of week 4 of the Scheepjes CAL 2014. Again Wink from A Creative Being has made a design that makes me smile. I seem to be repeating myself every week, but it’s true, I really love these granny’s! This week the granny has a flower in its heart. 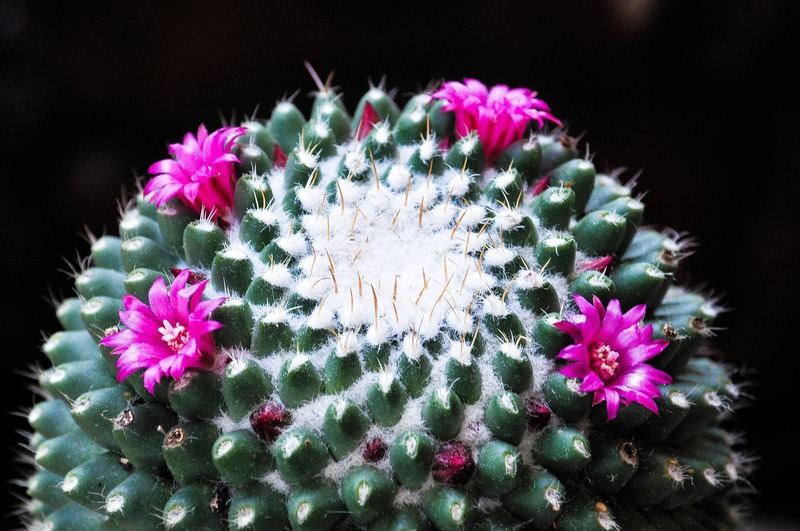 Flowers on succulents are often small and delicate. I have a succulent in a pot in my garden and it has been flowering beautifully every year for more than 10 years now. It only flowers for a very short time, but it is so beautiful when it does. I can literally sit next to it all day and just be amazed at the plant. I just about neglect it, but for some strange reason it keeps rewarding me. If my blanket is as lovely as my flowering succulent I will yet again be rewarded. The pattern this week is a bit more tricky than the ones of the last few weeks. Rounds 1 and 2 are straight forward as are rounds 4 to 10, but oh oh, what to do about round 3! And unfortunately you can’t continue with round 4 if you have not done round 3. It says that you have to work ‘behind’ the loops of round 2. ‘Ya, right’ I though. And how am I supposed to do that?!? Of to YouTube to see if I can find anything that is of help. And sure enough I found this movie. It is from another project in which they make a rose, but the concept is the same. From minute 8.30 she explains how to work behind row 2. And from minute 9.30 she shows a close up and she explains it really in detail. After this video nobody needs help anymore, I know, but I thought I’d have a try at it as well with a video and a few of my own photo’s. Just for illustration purposes I have made round 3 in a different color than rounds 1 and 2, but this is of course not how it should be. Actually, if you do it well you won’t be able to see round 3 from the front, even if you make it in a different color as I did as you can see in the last photo below. Getting the right loop for the crochets is a bit of a pain, but is doable. If you want to see my video for this week. I have made round 9 slightly different to what is said in the original pattern. 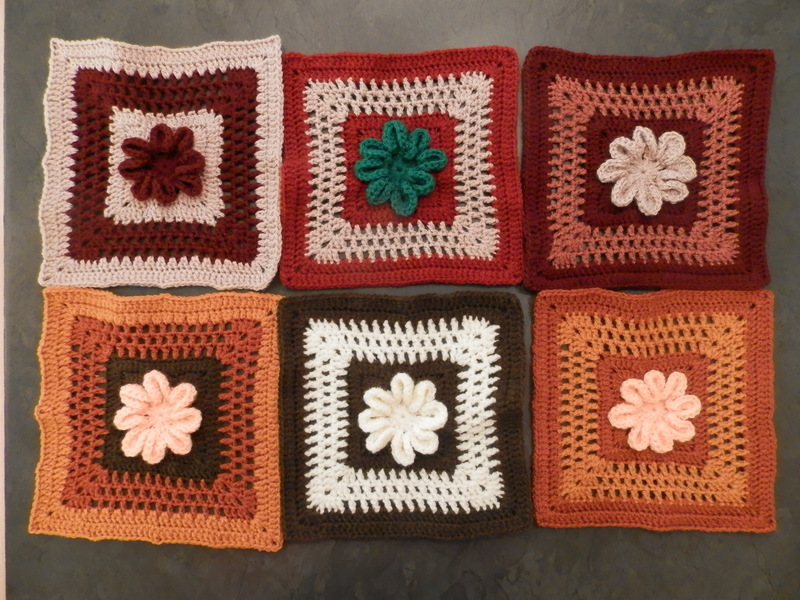 According to the pattern you should make the double crochets directly above each of the stitches of round 8. However, if I do that I don’t like the way the one color flows into the next. It becomes too messy. Hence I have made two double crochets in the opening of chain stitches of round 8. If you make everything in 1 color this messiness does not happen of course. All granny’s of week 1 to 4, it is coming together nicely.